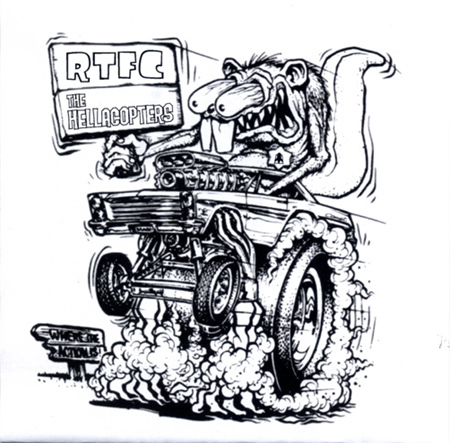 Rocket from the Crypt/The Hellacopters Split 7"
This single came with Gearhead magazine #10. The image above is of both sides of the sleeve, unfolded. The Rocket track is spelled "Delorian" on the label...I choose to believe the sleeve spelling. Black vinyl. 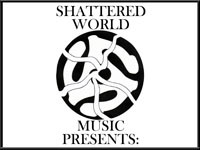 According to Gearhead (per Wegi), there were actually two pressings of this record. 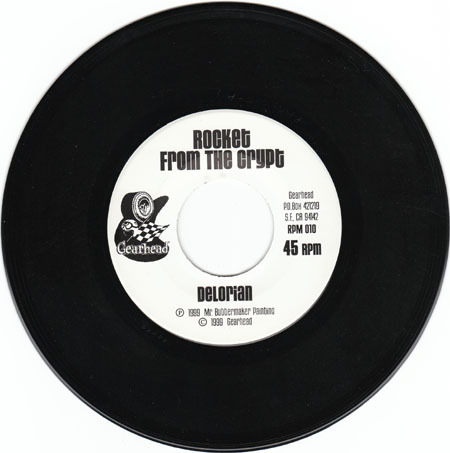 The first pressing was of 8500 copies. 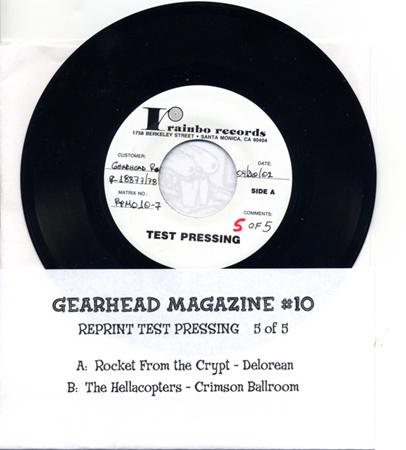 The second pressing was of 1100 copies. It did not come with the magazine. It is much harder to track down. 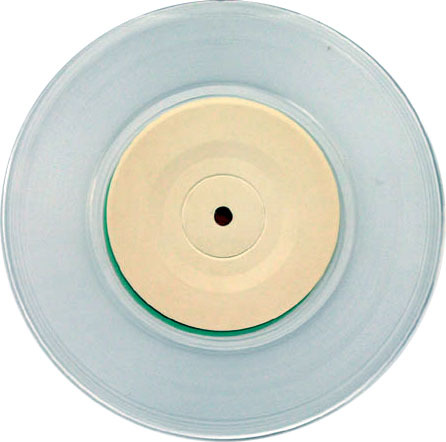 1st Press: clear vinyl, small hole, white labels, 2nd Press: black vinyl, large hole, Rainbo Records labels. 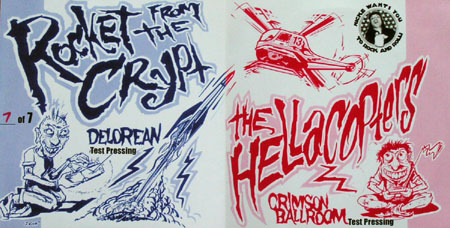 Both came with hand-numbered custom artwork. Wegi: Test press pics and info.